NOTE: This post contains disturbing/gross photos. 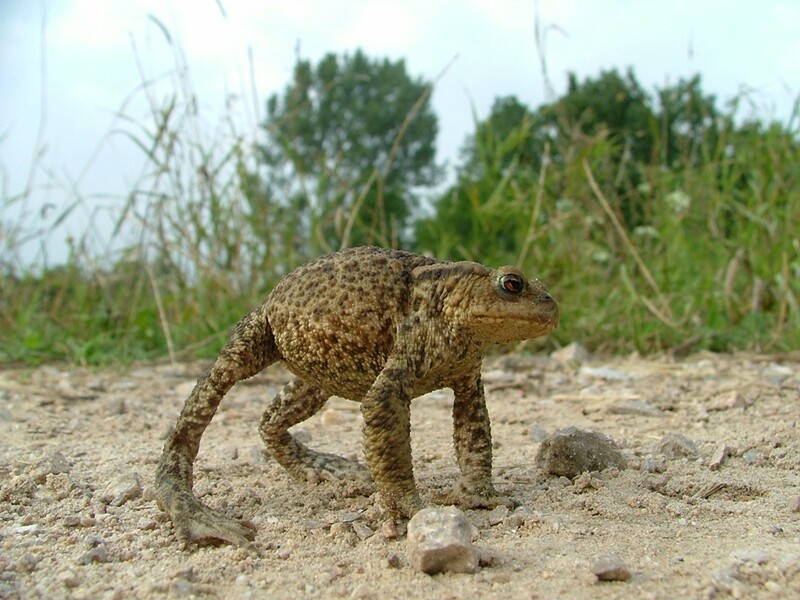 Obviously when talking about Halloween-ish animals you will eventually come across the humble toad. Ah, toads; they were one of my favorite things to catch as a small child, especially the little ones that would squeak angrily if you picked them up. I’m pretty sure there’s a picture of me somewhere covered in dirt while holding like seven toads with one on each shoulder. I’ll have to dig that up and put it on the blog. …Anyway, where was I? 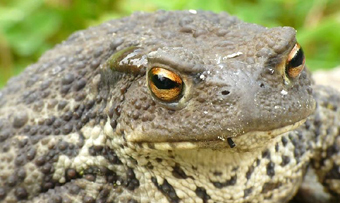 Right, a post on toads. Well, I was looking up what sort of toad-related topic I could discuss and was drawing a blank until I heard about a certain fly named Lucilia bufonivora. Let me apologize in advance to all the toads I ever harassed as a kid, and in fact to every toad ever, because damn, you guys don’t deserve this. 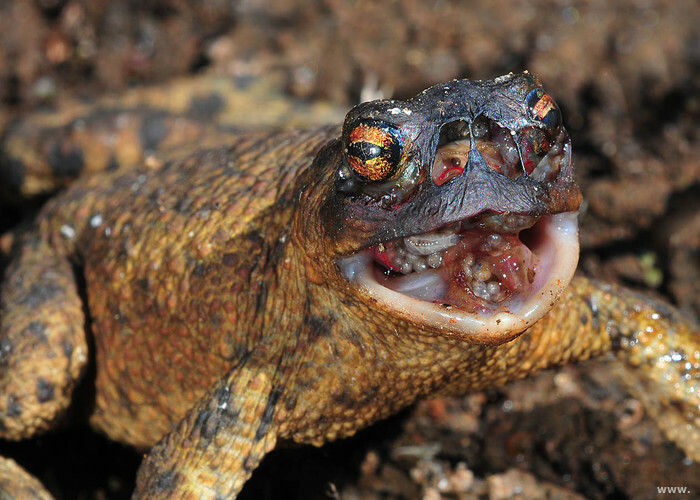 Pitting a fly against a toad seems like it would have an obvious winner. It’s not as though L. bufonivora is an especially big fly, either. Actually, it’s pretty tiny, and it feeds on nectar. And it’s a pretty green color! Really, on any given day ten of these things wouldn’t even make a dent in a toad’s appetite. When the fly gets ready to lay its eggs, though, the tables do turn. While the adult is a harmless nectar-drinker, the larvae of L. bufonivora have a taste for flesh. Specifically, the flesh of the common toad. 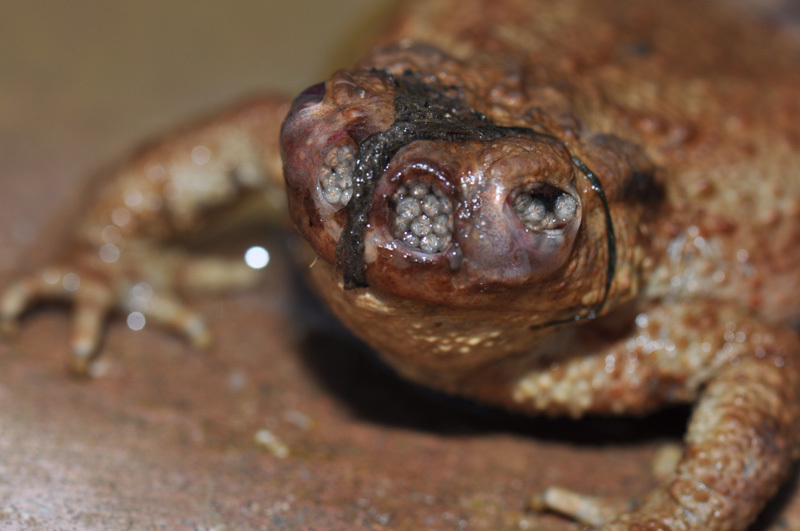 Their mother obliges by laying her eggs on a toad… in its nostrils. A little cramped-looking, aren’t they? Don’t worry, we can fix that. Having maggots hatch in your nose is exactly as fun as it sounds, and it gets even worse. 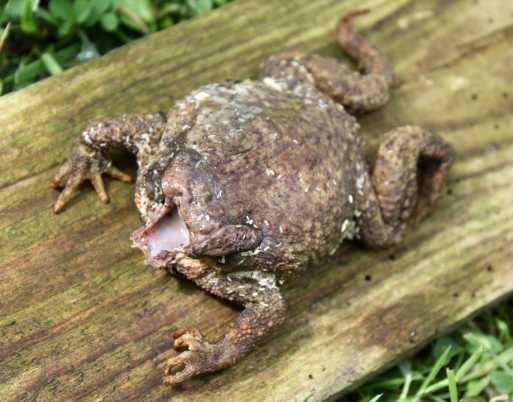 The fly larvae will begin burrowing their way through the toad’s face, attacking any opening, especially the toad’s eyes. And brain. And everything. I think he’ll probably be fine. To be fair, I’m not quite sure if surviving this is the toad’s best option. Once the toad is dead, the maggots continue to feast on their decaying flesh until it is time to burrow out and under the ground to pupate. Charming. 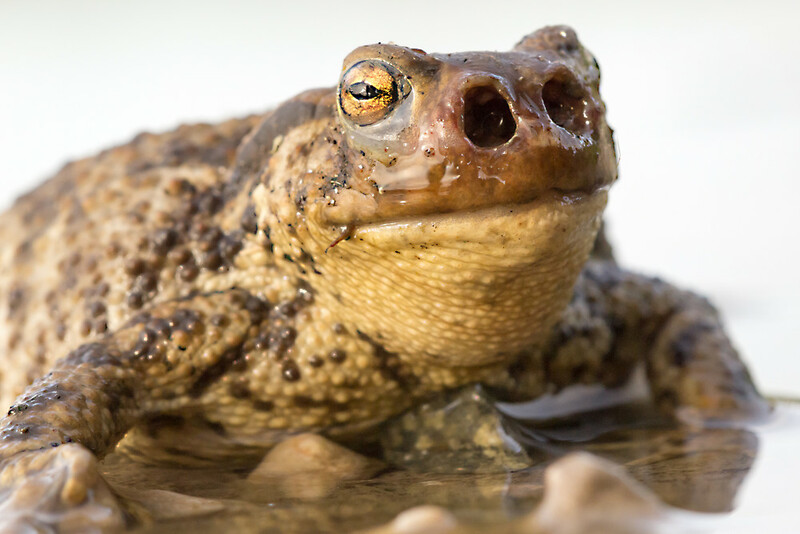 The fly preferentially goes after large, adult toads, especially ones that are sick or injured, and affects about 8% of the common toad population in the Netherlands (though that number’s based on limited studies). That’s quite a lot, and there’s a need for more studies of this parasite since it can probably significantly affect toad populations. But that’s about all I know on the subject. What, you thought I’d have more to say? Nah, to be honest, I just wanted to show you pictures of maggot-infested toads. 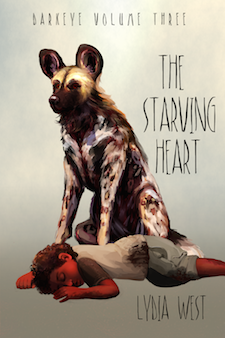 To view a list of all my animal articles, head to the Nonfiction section. Strijbosch, H. (1980). 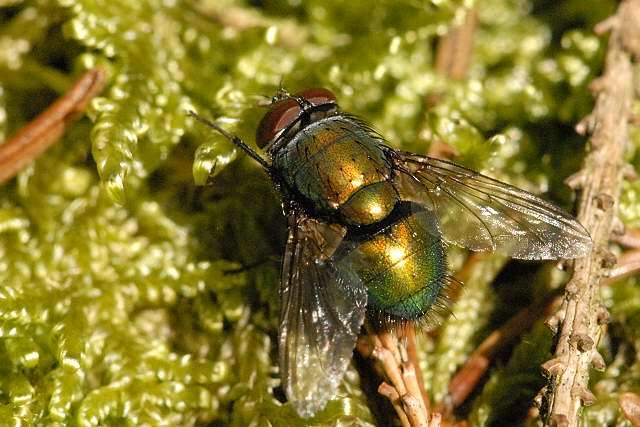 Mortality in a population of Bufo bufo resulting from the fly Lucilia bufonivora. Oecologia, 45(2), 285-286. Tagged anura, creepy creatures, parasitism, toad. Yes. I did this. I did it all.